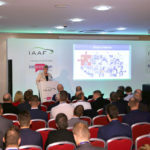 PMM reports on the IAAF’s Annual Conference. The Independent Automotive Aftermarket Federation exists purely to represent the needs of its members, and to promote and secure the future of the independent aftermarket. As such, it’s not just acting in the interests of manufacturers and motor factors, it is there to support garages and technicians as well. With the uncertainty of Brexit, and the increasingly aggressive attempts from vehicle manufacturers (VMs) to gain an advantage in the aftermarket, organisations like the IAAF are more important than ever. This fact was exemplified by 2018’s Conference, which was markedly busier than previous years, with delegates from all levels of the supply chain in attendance. As ever, the conference was host to a line-up of industry experts from a variety of sectors, all working to the overarching theme of ‘The aftermarket in 2019 and beyond’. Wendy Williamson, IAAF Chief Executive, opened proceedings by summarising another tumultuous year in the industry. She noted that the VMs are still dominating the headlines in the mainstream media, and often not for the right reasons. As a result, public perception of the automotive industry as a whole is shrouded in scepticism. From an aftermarket perspective, Williamson explained how the raft of mergers and acquisitions at a manufacturer and distributor level are indicative of a healthy sector. From the garage’s point of view, however, it is arguable that less competition among factors, due to big businesses buying out smaller independents, is having a negative impact on customer service. After touching on an excellent victory for the aftermarket earlier in the year, in the form of the upheld 3-1-1 MOT interval, Williamson moved on to discuss the threats that continued to emerge in 2018. Citing the vehicle manufacturers’ increasing closure of the OBD port on modern vehicles (except for access to emissions-related data), she warned that further progress towards the ‘Extended Vehicle’ model that is advocated by the VMs could spell disaster for independent workshops. Such a model would only enable independent garages to access non emissions- related vehicle data by purchasing a specific diagnostic tool, accessing the individual VM’s server, and paying for a licence to do so. Clearly, this would have an enormous impact on competition with the dealers. The IAAF is lobbying vociferously against this, instead pushing for a ‘standard, interoperable platform’, which would allow technicians direct and real-time access to vehicle data. 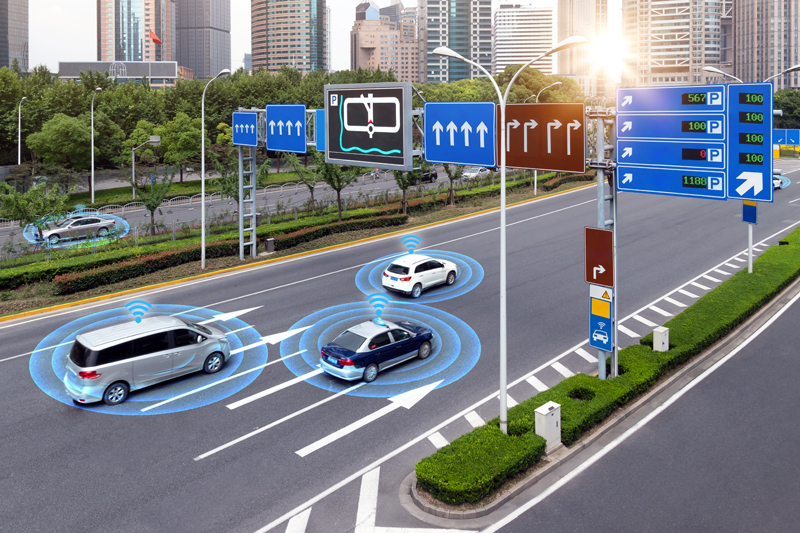 Part of the VMs’ argument for removing independent access from vehicles is that automotive technology is moving at such a pace that technicians simply won’t have the skills and training required to carry out the work. On this subject, Williamson emphatically remarked, “We must not let technology become an excuse for unfair and distorted competition”. Drawing on the conference theme of ‘The aftermarket in 2019 and beyond’, Williamson explained how lifestyle changes are shaping the automotive future. For instance, vehicle ownership patterns are already beginning to change, as a shift towards renting vehicles by the day, or even the hour (think Boris Bikes), is likely to take place. As a result, will this bring about a change in how people and businesses think about repair and maintenance, placing more emphasis on predictive maintenance? Food for thought for garages at least. It was of course only a matter of time before the discussion turned to electric vehicles and their dramatic effect on the sector. Williamson remarked that the Jaguar iPace could be a game changer in terms of mobilising the mass market. With a range of over 300 miles, and the backing of a traditional car maker, could this model be the catalyst for people switching to an alternatively-fuelled vehicle? 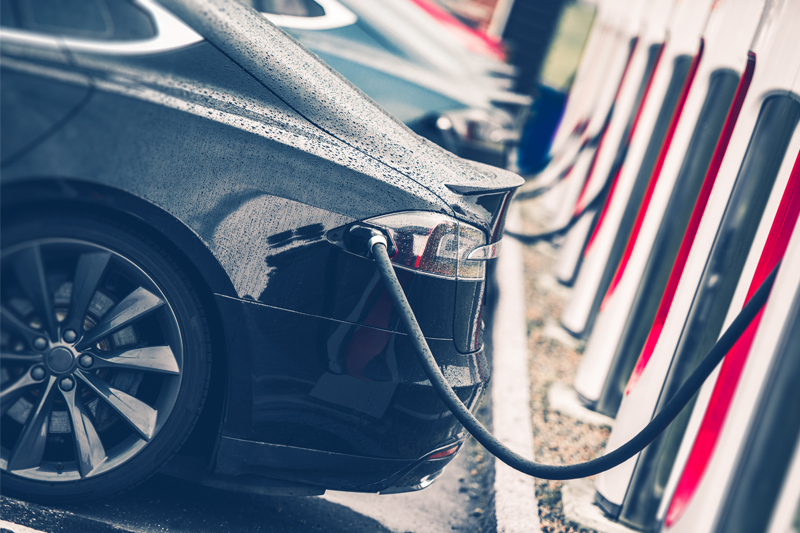 With Tesco recently announcing that it is installing in 2,500 charging points at its stores, and many of them free, there are certainly signs that things are changing. Could the cities of the not too distant future be dominated by autonomous vehicles that have been rented for the day, or even the hour? But what does this mean for independent garages? Williamson first pointed to the issue that some parts will simply cease to be on vehicles anymore. Added to this is the increasing service intervals, with some modern hybrid and electric models only requiring a service every 100,000 miles. With fewer parts to service, and cars running smoother, safer and for longer (and with the added challenge of VMs contacting the driver directly through ‘connected cars’) how does a garage ensure a steady stream of work? With automotive ‘outsiders’ like Google, Dyson and numerous Chinese giants entering the arena of electric and autonomous driving, Williamson’s conclusion that we are facing a “profound transformation, based on digitalisation, automation and societal changes”, seems pretty apt. The opening address was followed by a series of presentations from market experts. 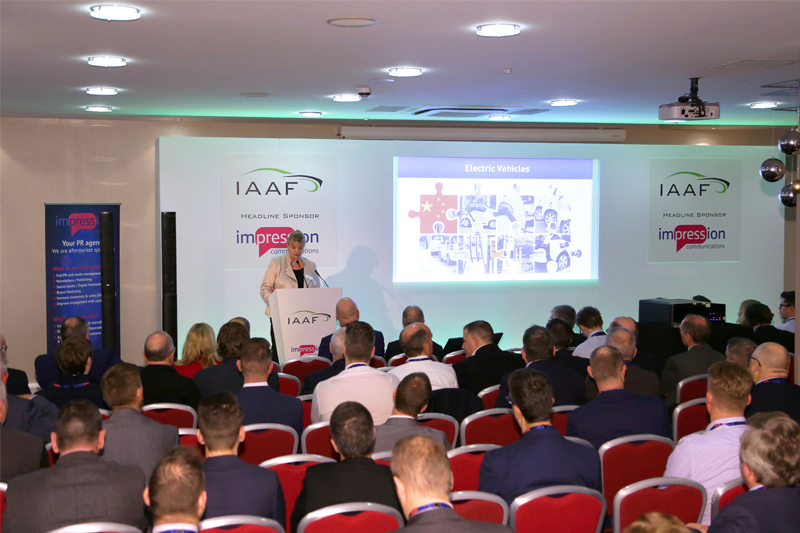 Mike Smallbone, also of the IAAF, updated delegates on the activities of the Federation throughout 2018, placing particular importance on the Right2Choose campaign, which has been rejuvenated for the digital age, in a bid to educate more garages and consumers about Block Exemption. Smallbone revealed, rather shockingly, that 72% of consumers still believe that they will invalidate their warranty if they take their vehicle outside of the dealer network. Even more worryingly, of the garages surveyed, 16% had not heard of Block Exemption and a further 32% were aware of it but didn’t understand it. Since the legislation exists to protect the competitiveness of independent garages and their ability to work on any vehicle, these statistics are a concern. Next up was GiPA UK’s General Manager, Quentin Le-Hetet, who provided a succinct overview of the state of the aftermarket. Echoing Williamson’s earlier sentiments, Le-Hetet discussed the development of new mobility models, driven by the idea that a car is becoming a ‘service’ rather than something that is owned. This, Le-Hetet argued, is likely to streamline the vehicle car parc, especially in ‘megacities’ such as London, Manchester and Birmingham, where the need to actually own a car is diminishing. Quentin proceeded to talk about the growth of new market places within the automotive sector. He suggested that there is a growing population of ‘online drivers’, particularly in Asia, who order their parts online and book their garage appointments using online platforms. While there are still major barriers to achieving such a model in the UK, it seems to be the way that commerce and service provision in general are going. On the subject of electric and hybrid vehicles, Le-Hetet had some more positive news for independent garages, stating that it is a misconception that hybrids require less servicing and repair work. He said that, while the current statistics may suggest that these vehicles require less work, this is due to the age of the hybrid vehicle park relative to that of petrol and diesel, so the numbers are skewed. Perhaps there will still be some work out there after all! Le-Hetet concluded by arguing that a big weakness in the independent garage sector that needs to be addressed is training. He urged all stakeholders in the industry, from manufacturers to factors to garage owners, to sort this problem out, fast. After an in-depth presentation from PMM’s regular contributor Neil Pattemore, the stage was set for Steve Carter to present ‘The rise and rise of EVs’. He opened by stating that the UK is currently the third biggest market for alternatively-fuelled vehicles, before announcing that VW has pledged to convert three of its German factories to fully electric vehicle plants. Essentially, Steve believes that the rise of electric vehicles is inexorable, and he was certainly able to provide a lot of evidence to back this claim up. The big question in the audience, however, was how quickly will this happen? Dr Julia Saini from Frost & Sullivan then examined the future of mobility, illustrating the five pillars of digitalisation that are set to transform the automotive industry, underlining how versatile connective cars will become and the importance of upskilling independent technicians in preparation for these changes. Finally Lawrence Bleasdale, IAAF President, provided some closing remarks for the conference. The theme of ‘The aftermarket in 2019 and beyond’ had raised the issues of VM advances in the aftermarket, the growing popularity of alternative fuel sources, digitalisation and autonomous driving, societal change leading to different ownership models, and training and skills shortages in the independent sector – all of which is happening while the uncertainty of Brexit lingers on. The prevailing message, however, was one of solidarity and strength. The aftermarket has long offered consumers an affordable and competitive alternative to the dealer network, and there’s no reason why this can’t continue if garages, motor factors and manufacturers rise to the challenges of our changing automotive world. For more information from the IAAF, click here.